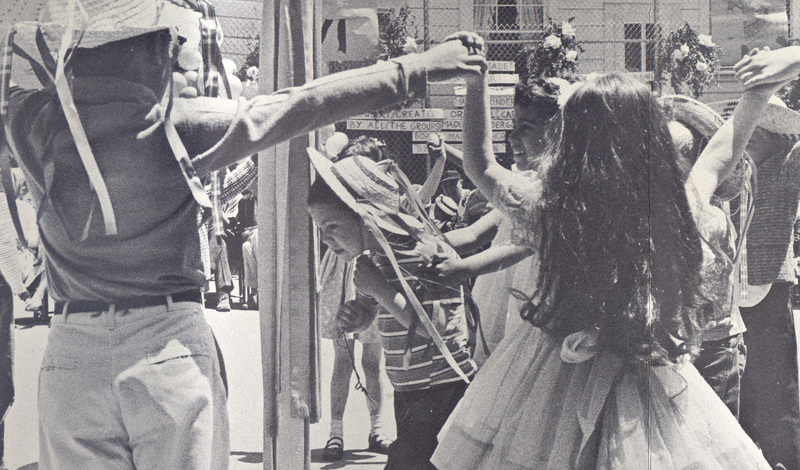 Presidio Hill School celebrates a series of special events, some old and some new, that helps create a deep sense of community among students, families and staff. As these traditions transpire over seasons and across years, they become the rhythm that keeps time for the school community. 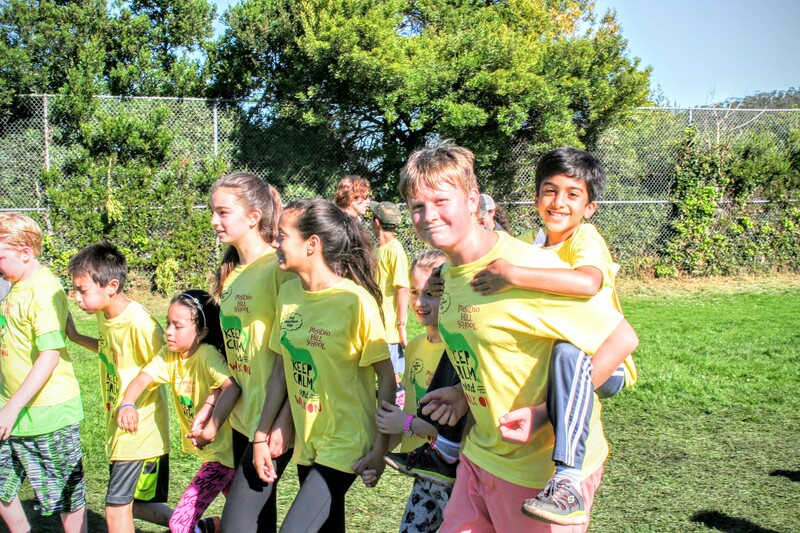 The Walkathon is a fun, child-centered event that encourages students to be creative, confident, and self-sufficient fundraisers. Accompanied by their peers or parents, students go out into their communities to raise money for flexible tuition at PHS, engaging in activities ranging from bake sales, to art sales, to hosting movie nights with tickets for purchase. After collecting money, students celebrate at JK Park by running, walking, or dancing around the track--a truly marvelous phenomenon to witness! This all-school event helps students understand the importance of giving back to their communities and emphasizes the positive impact of a diverse school environment on academic excellence. When Charlie won the Golden Ticket, he chose Grandpa Joe to accompany him on his journey through Roald Dahl's chocolate factory. 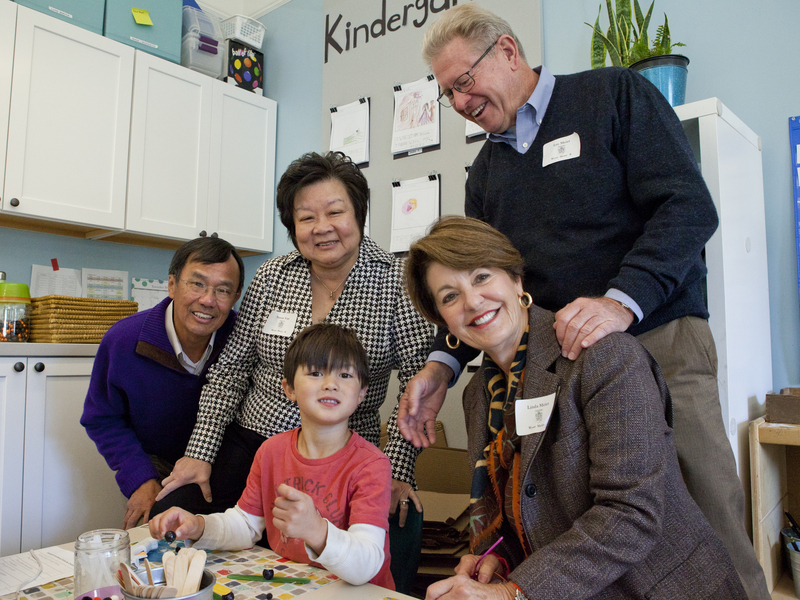 Grandparents & Special Friends Day gives students a chance to bring a favorite grownup along on the magical ride of learning at Presidio Hill. After a taste of the day’s activities, most grandparents and special friends leave wishing they could go back and repeat whatever grade they just visited—so long as they could attend Presidio Hill the second time around. Abominable snowman, garden gnome, pharaoh, windup toy. In December, Follies gives every student a colorful starring role as each class takes the stage to sing and dance its way through an original musical extravaganza written and produced by the eighth grade class. Complete with student-created art pieces featured in every performance, this is indeed an integrated arts experience in the tradition of Presidio Hill. What do you get when you cross a wildly spinning top, little wooden bowling pins and a maze? What's the kookiest retro game around? How do you play Tri-ominos? Game night is a chance for Presidio Hill families to learn and play together and, lucky raffle ticket permitting, take home some new games. It's boisterous good fun with ample helpings of sharing, cheering each other on, and cheesy pizza on the side. Befitting a spring festival, May Festival, also known as May Fest, bursts out in every direction. A giant prancing dragon, students reciting original poetry, a festive May Pole dance, kindergartners spinning through the Virginia reel, impromptu pickup bands, and friendships infuse the park with an atmosphere that is distinctly Presidio Hill. Friday is the one day of the week when some students may enter Presidio Hill with a hint of reluctance because they are tempted to mingle on the front doorstep with the chatty knot of parents who have traded drop-off for "drop everything for a mug of coffee and some tasty conversation." Long after students settle into their classrooms, parents linger with thoughtful conversations that define the Presidio Hill community.